Wednesday April 3, 2019-A popular High Court Judge has today shocked Kenyans after she reduced Samburu County Governor Moses Lenolkulal’s cash bail from the previously set amount of Sh 100 million to Sh 10 million. On Thursday, Anti-Corruption Magistrate, Douglas Ogoti, slapped Samburu governor with a cash bail of Sh 100 million or a bond of Sh 150 million. The governor was arrested on Tuesday morning over misappropriation of Sh 86.4 million from his county. According to the prosecution, the corrupt governor looted the money through Oryx Service Station which he owns. 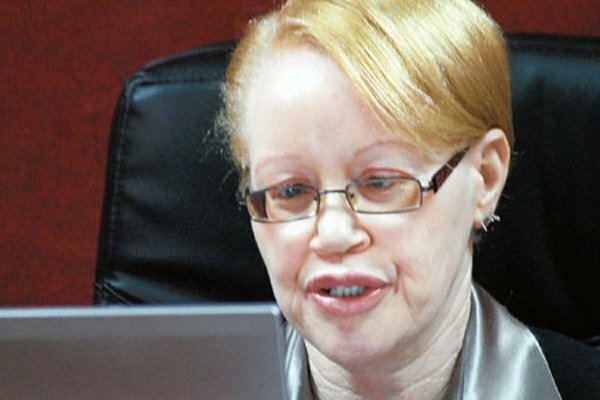 However in her ruling, Justice Mumbi Ngugi said the terms imposed by Magistrate Ogoti were excessive and could amount to denial of bail. “The applicant has also been barred from accessing County offices, so the apprehension that he may interfere with witnesses is not a consideration.” She added.